Afsakaðu! Þessi síða er ekki til á þínu tungumáli, svo við sýnum upprunalegu útgáfuna í staðinn. The Milky Way above the dome of the Danish 1.54-metre telescope at ESO's La Silla Observatory in Chile. 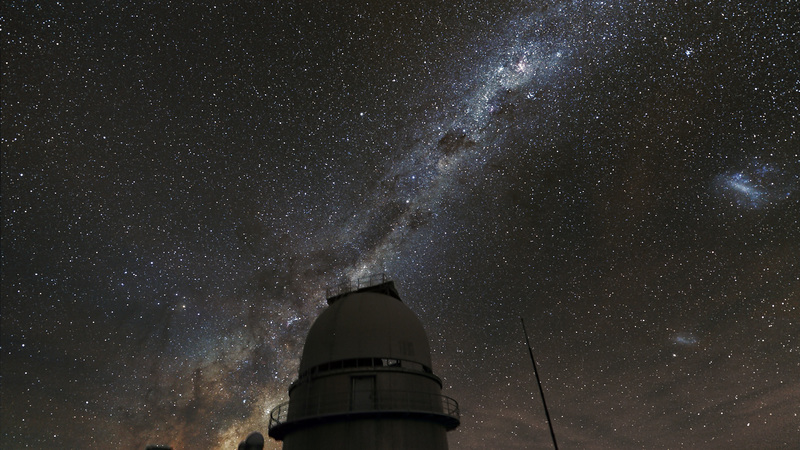 The central part of the Milky Way is visible behind the dome of the ESO 3.6-metre telescope in the distance. 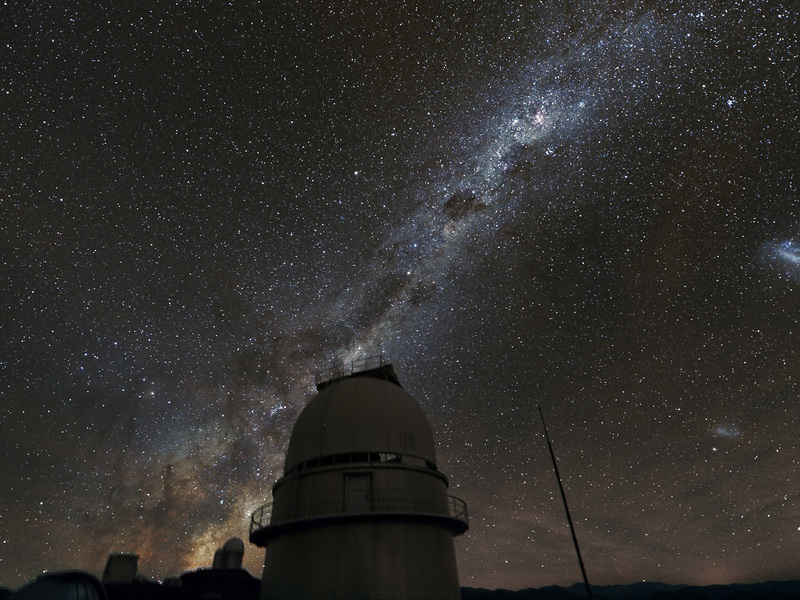 On the right the Magellanic Clouds can be seen. 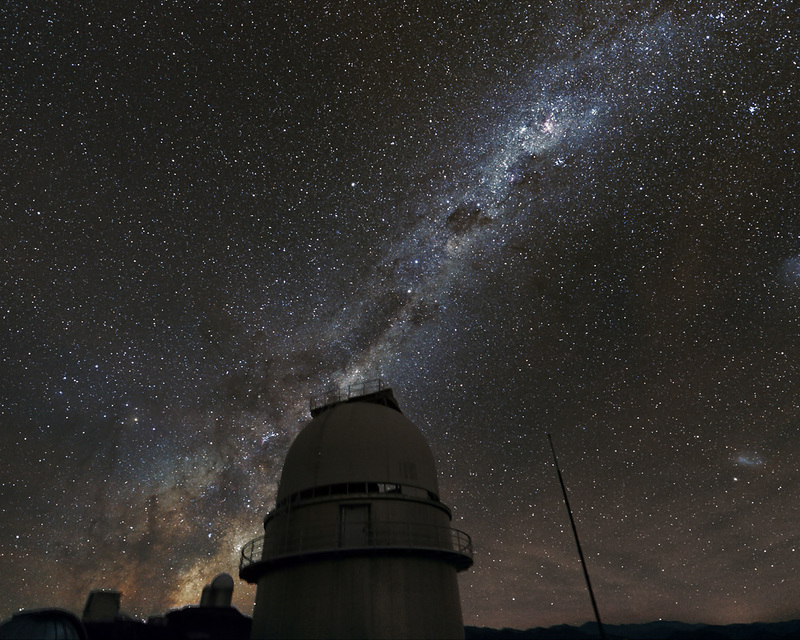 This telescope was a major contributor to the PLANET project to search for exoplanets using microlensing. 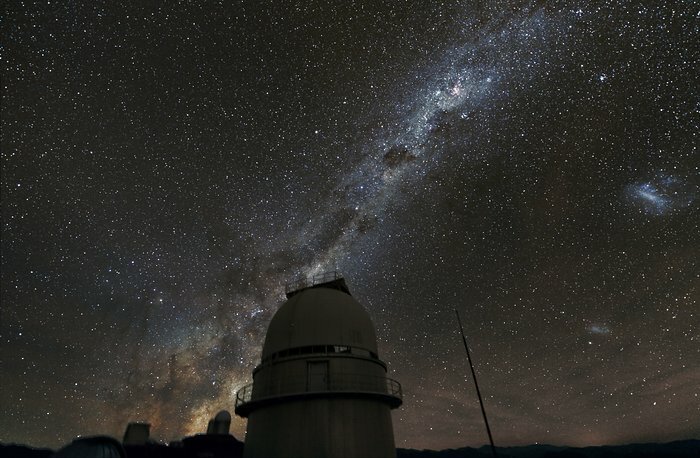 The picture was taken using a normal digital camera with a total exposure time of 15 minutes.